Garden Food! Plant it yourself! Become one with nature and enjoy the freshness! Who am I kidding? Head to your local super market; that works too! 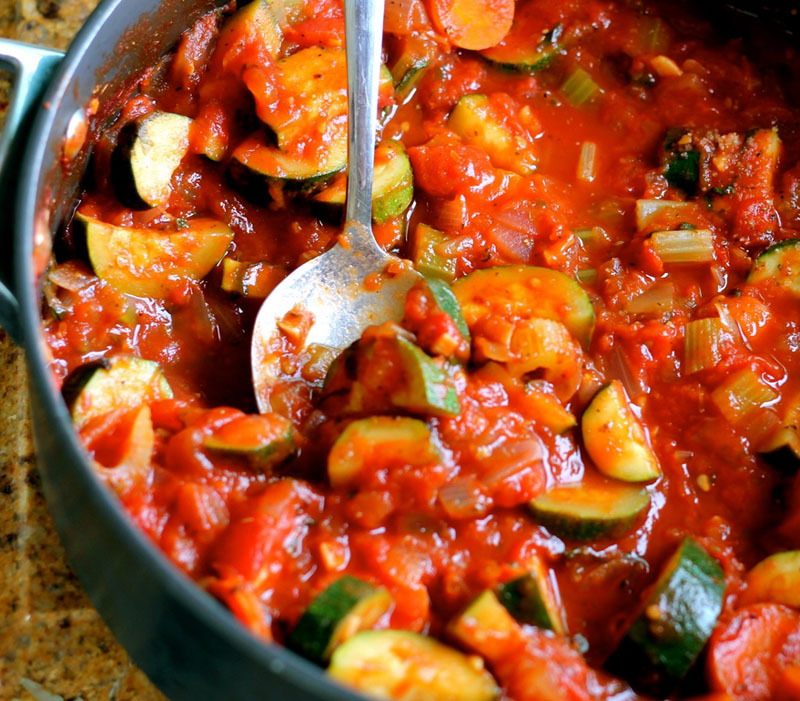 This is a very fresh, low calorie, simple dish with a huge blast of flavor. This can be served as a meal, topped with a little feta cheese (feta makes everything better), or accompanied as a hearty side dish. I even enjoy this the following morning with some scrambled egg whites. The key is to make sure the zucchini and summer squash are cut very close to size, about an inch wide. This allows the veggies to cook evenly. Heat olive oil over medium-heat in a large skillet and sauté the onions until soft. 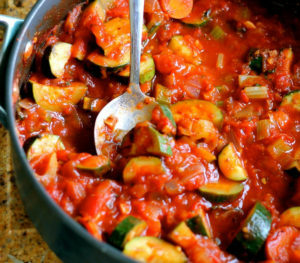 Add zucchini and squash, and continue to sauté for about 5 minutes. Throw in the chopped tomatoes, garlic, and all the dry spices. Gently stir everything together. After about 3 minutes, add the wine, and stir and simmer on low for 15 minutes. A fresh, versatile, low calorie meal. Heat olive oil over medium heat in a large skillet and sauté the onions until soft. 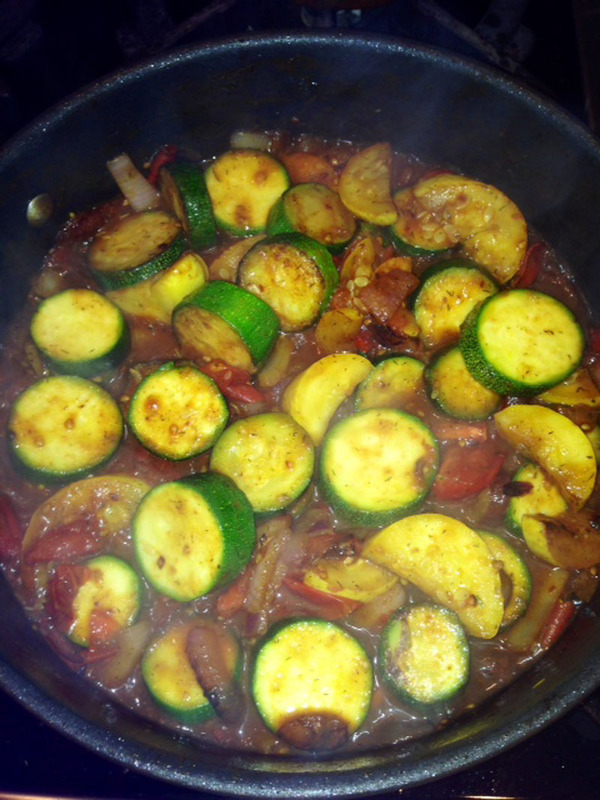 Add zucchini and squash, and continue to sauté for about 5 minutes. Throw in the chopped tomatoes, garlic, and all the dry spices. Gently stir everything together. After about 3 minutes, add the wine, stir, and simmer on low for 15 minutes.